In a move designed to placate regulators, Microsoft will be shipping Windows 7 without a web browser in Europe. 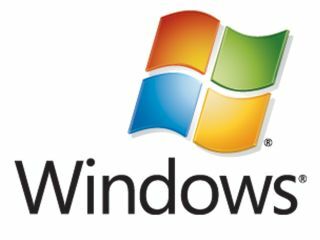 According to a confidential memo sent out to PC manufacturers and seen by Cnet, Microsoft will be releasing a special version of Windows 7 for the European market that has had Internet Explorer 8 removed. The browser will still be available free of charge, either for makers to install prior to shipping new PCs or for consumers to sideload at home. According to Cnet, the Microsoft memo states, "PC manufacturers may choose to install an alternative browser instead of IE 8, and has always been the case, they may install multiple browsers if they wish." Europe has always taken a dim view of Microsoft bundling its web browser (and media player) in with the Windows operating system, and hinted that it could impose penalties if Microsoft did so again. The EU has also investigated Microsoft for anti-competitive actions in the server market. Cnet reports Microsoft's memo as saying, "We believe that we need to release these versions to address the preliminary legal views communicated to us in the EU. We are informing OEMs of these plans now so that we can work together to meet our shared goal to have Windows 7 broadly available for a holiday launch." Windows 7 is due for launch 22 October, with the move potentially leaving owners of new PCs no means to surf the internet - even to download Internet Explorer. Because of this, Microsoft will probably be making its browser available on CD, via FTP and also through shops.